How Powerful is 5G Wireless Technology? 5G wireless technology is the successor of the ongoing 4G technology, It is more powerful than 4G in many ways. Bandwidth, data speed and so on. Although 5G communication technology has always been one of the hot topics in emerging technologies and industries, how is it different from 4G? What are the reasons for non-development? The so-called 5G communication refers not to a specific single technology, but the general name of 5th Generation Mobile Networks. 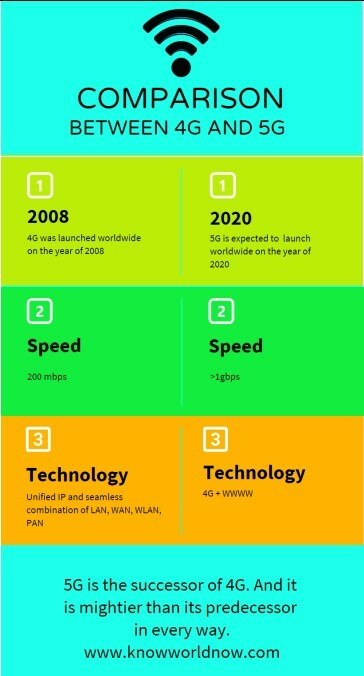 It is the expectation of the next generation communication network after the maturity of 4G communication technology. The current standard has not yet been fully determined. But there is a consensus that 5G systems must have at least several capabilities, support tens of thousands of users at data rates above 10 Gbps, and large-scale concurrent connectivity and sensor network deployment. Coverage, spectrum efficiency and low latency should be far better than 4G. Wireless Communication refers to a communication method that exchanges information using electromagnetic wave signals that can be transmitted in free space. In modern times, there has been an explosive development due to a wide range of demands. For example, the early first-generation wireless communication system was an analog mobile phone system that was used since 1983 and was replaced by 2G digital communication. The 3G GSM system, developed and maintained by the 3rd Generation Partnership Project (3GPP), provides international roaming and higher quality digital voice calling services. Starting from 4G, the data transmission volume needs to reach 1 Gbps or more, and even 100 Mbps under high-speed mobile. In addition to voice, it has expanded to the fields of video communication and other industries, and is used in industries such as finance, medical care, education, and transportation. on. A wireless network with ADSL speed, which rejects traditional circuit switching, turns to communication made up of the entire Internet Protocol (IP), and extends the concept of Pervasive Network, and 5G is the new concept. 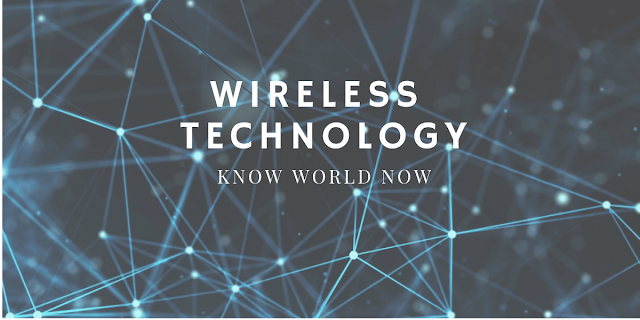 In fact, wireless communication technology covers a wide range, not only for mobile communications for long-distance calls, but also for near-field communication technologies such as Bluetooth and NFC, as well as various extended communication protocols. The 5G concept, in addition to being faster and more stable, is able to meet different communication needs such as near field and long distance. Since wireless communication is transmitted by electromagnetic waves, of course, when describing its performance, physical properties such as frequency, such as 2.4 GHz, mean 2.4 billion electromagnetic waves per second, which is considered to be a relatively high frequency. It is. The lowest frequency telegraph is only about 1,000 Hz, and the millimeter wave (Millimeter Wave) frequency often mentioned in 5G is as high as 26.5 to 300 GHz. Although there are other technologies that can improve the efficiency of data transmission, in terms of physical properties, the higher the frequency, the faster the data transmission. So the development of wireless communication is basically toward high frequency. But in terms of physics, the higher frequency electromagnetic waves are more directional, and the more difficult it is to shoot, the faster the attenuation and the shorter the transmission distance. For example, Bluetooth is a short-baud high-frequency technology that uses the ISM band above 2.4 GHz for communication and attempts to allow mobile devices to exchange data over short distances and form a personal area network (PAN). However, like NFC, the frequency is 13.56 MHz, but it is obviously only for a short distance, and the data transmission rate is far less than Bluetooth, but it is more convenient and faster, and more is applied to the Internet of Things. Therefore, communication technologies are not necessarily replaced by each other, but for different scenarios. Although communication technology has progressed to the fifth generation in just over 30 years, this is not easy. It is already a hindrance to increase the frequency of electromagnetic waves that can be utilized. In view of the fact that the middle and low frequency bands of 6 Ghz are very crowded, millimeter wave technology has become an unavoidable challenge for major technology companies, including high frequency path loss, transmission loss and wall penetration. Of course, because of this, the development of millimeter wave technology has also been successive. First of all, it is started from the low frequency millimeter wave, mainly focusing on below 40 GHz, in order to meet the commercialization process, it is expected to be completed in early 2019. And frequencies above 100 GHz may not appear until 2020. The International Telecommunication Union (ITU) has now proposed the most suitable frequencies for 5G at 28, 39 and 73 GHz. Of course, there are also more ambitions. For example, Intel's 5G Modem emphasizes global versatility. It not only supports the most important spectrum below 6 GHz and the millimeter wave band, but also features ultra-wideband operation, ultra-low latency, and aggregate bandwidth. Supporting technologies such as 5G NR, but the first wave of 5G devices is still expected to rely on LTE technology and OFDM waveforms since the 4G era. And in fact the 5G system is not just a high-frequency system, but a multi-pipe system. The HF antenna will be smaller in size, that is, more antennas can be placed in the same device, and through multi-input and multi-output (MIMO), the data transmission rate of 5G will be comparable to that of fiber, at least ten times that of 4G. . Many countries are now planning to divert the expired 3G spectrum to 5G development. For example, China has planned its 5G system spectrum to use the 4800~5000 MHz and 3300-3600 MHz bands in addition to millimeter waves to comply with ITU's IMT-2020 work plan. However, the design of 5G millimeter-wave wafers is completely different from that of 4G. The problems of metal conductor loss, dielectric loss, radiation loss and heat dissipation of high-frequency circuit components have to be overcome, and the current industry favors nitrogen. Components made by a gallium semiconductor process. In addition to materials, beamforming and Massive MIMO are hot words for 5G technology. Beamforming is a technique for directional transmission and reception of signals using a sensor array to extend the signal transmission distance by superimposing or transmitting signals in a particular direction. Massive MIMO is a powerful technology that uses complex beamforming antennas to achieve massive data transmission. Of course, this is not easy, because the base station uses Massive MIMO technology not only to face multiple terminals, but these terminals are often in a mobile state, which means that the Channel Estimation will be even more Difficulties, as well as Pilot Contamination and precoding complications, of course, simplifying and improving MIMO technology is a major challenge to achieve 5G communication. Not only that, but 5G's ambitions also include applications in different scenarios, such as D2D communication (Device to Device) based on cellular networks. In fact, 3GPP began to explore D2D communication technology as early as 2013. Its predecessor is a variety of wireless communication technologies that do not rely on infrastructure to achieve terminal-to-terminal communication, such as Bluetooth. But compared to other similar technologies, D2D will be more flexible, not only when there is no network infrastructure, but also when there is no network, using a network device connected to the network. Of course, in the 5G era, D2D communication will bring higher spectrum utilization, and use Proximity Service (ProSe) to improve the user experience, including broadcast, multicast, unicast and other communication modes, even in similar applications. The Internet of Things (M2M) communication is of course much more complicated than the traditional cellular network architecture. In order to cover such a variety of services, Network Slicing is a key technology for 5G. Simply put, the software defined network (SDN) architecture is used in the physical network to cut and virtualize the network. Function Virtualization (NFV), and each virtual network, including devices, access, transmission, and core network, is logically independent, and does not affect other services because one of the virtual networks fails. It is more flexible than the LTE mobile network architecture currently in use to support a variety of different services. In general, 5G network applications can be divided into mobile broadband, large-scale Internet of Things and key IoT domains to meet different applications. Therefore, network slicing is more important, and currently China's ZTE is leading the introduction of a fairly mature 5G E2E network slicing technology solution. However, the current commercialization must start with "non-independent 5G" and develop a quasi-5G model based on 4G networks. Operators can use the existing LTE network to start trial operation and deploy 5G NR in 2019. And 5G radio access carriers can be added in the future to increase the application. In fact, 3GPP completed the non-independent 5G standard as early as the end of 2017, laying the foundation for large-scale trials and commercial deployment. Simply put, 5G applications can now be divided into five levels, a large number of data transmission, mobile user experience, improve enterprise efficiency, create digital ecology and 5G infrastructure and services. In the 5G white paper of Huawei Technologies in China, there are ten important scenarios for the future 5G application, including cloud graphics computing, car networking, smart manufacturing, smart energy, wireless medical, unlimited home entertainment, connected drones, social network. Road, personal AI assistant, smart city, etc. The most dependable on 5G is the computer graphics rendering and modeling in the cloud. It is intended to greatly reduce the equipment requirements of VR and AR, and more effectively expand users to make it more popular, regardless of the various industries will occupy a place. But the premise is that low-latency large-scale data transmission, in order to enable users to effectively access the cloud high-speed computing server, to achieve scale effect. It is estimated that the market size of AR and VR will reach US$292 billion by 2025, which will become the main business of mobile service providers. Of course, there are also 5Gs that are familiar with emerging technologies such as self-driving and smart manufacturing. However, the biggest market potential is wireless home entertainment. Ultra-high-definition 8K video and cloud games will be an important battleground for 5G technology. However, there are still many obstacles in deploying 5G technology, not only technical issues, but also commercial considerations. For example, unlike the previous 4G network, the 5G radio feature also makes its coverage less than 4G. In the same scope, more base stations are needed. This will have more cost considerations for manufacturers. How to deploy it at the appropriate address will also It will be a challenge and requires the assistance of the government. Therefore, in the 5G era, infrastructure sharing will bring greater investment benefits. For example, the UK government is committed to solving investment barriers, clarifying the framework for infrastructure sharing, reducing corporate taxation and even direct intervention to ensure the market. There is enough capital to promote the development of 5G networks. Of course, the current 5G policies in various countries are not yet clear and will change according to the final standards and the results of commercial trials. Interesting! I had never heard of 5g until now! Great post, this is the future. Your article is very informative. I have learned a few thinfs today because of it. I will surely come back for more. Thanks for sharing this wonderful piece of information online. Thanks for enlightening about 5G. This is required! Brain overload aha this was highly enlightening, but my brain hurts now. Thanks for educating us, though. 5G?!?!?!?! OMG! This is crazy! I am waiting for the days that 4G and 5G are available on our computers so we don't have to rely on wifi all the time! Oh this is very exciting! 2020 is just around the corner - this is going to be awesome :) I find it fascinating to see how quickly the technological landscape changes. Curious to see what kind of new developments will we be talking about in 10 years time. Never heard about 5g and that would be great! I'm so excited to upgrade my data speed internet! Damn! We are gettin advanced. So excited to try 5G. Thank you for sharing this! Wow! I didn't even know 5G was a thing. I learned a lot about it reading this. Its crazy the technology we can create. So much I never understood, thanks for sharing! Thank you for sharing, 5G looks like a upgrade in every aspect, but I am afraid when it will come in my country, because it's not even fully covered by 4G yet, oh well I hope that the implementation of 5G is gonna be easier and not followed by like 15 errors here and there. My dad tried to explain this to me, but it's a lot more easier to understand it by reading rather than listening. Interesting post. I can’t wait to see what 5G brings. Wow, 5G already! It looks like I have to get a new phone in 2020. Now, if I could get 5g on my laptop, I'd be the happiest gal on the block. I have 4g on my smartphone but 5g sounds rich. Gosh, we live in such a modern, sci-fi world! I'll need to get a new phone to utilise this new tech! You explained about 5G technology is good. Nice article. Got a good piece of info on 5G. Hope it is cheaper !!! 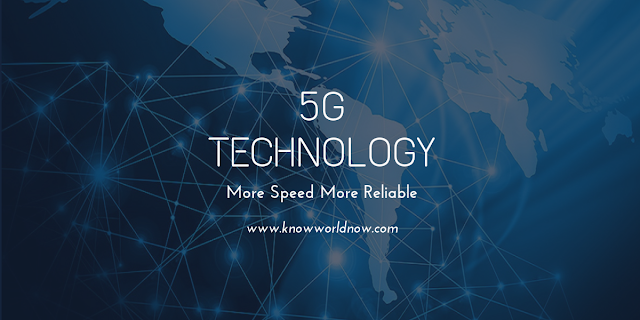 Know World Now: How Powerful is 5G Wireless Technology?